Home Lifestyle Harleen Sethi Out and Katrina Kaif in ? 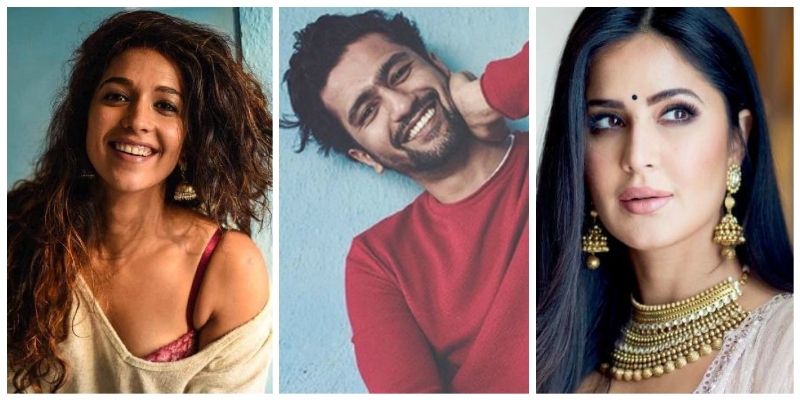 Vicky Kaushal and Harleen Sethi have made their breakup Insta-official by unfollowing each other. Harleen and Vicky met through a common friend and director Anand Tiwari. Harleen has appeared in many TV ads for brands like Pears and Blue Star. Her video in which she is seen dancing on the popular Lamborghini Song went viral on social media. Vicky had dedicated the song, “Do you know? Main tenu kinna pyar karda…Do you know? Main tere utte kinna marda. Do you know?” to his Harleen Sethi on Neha Dhupia’s chat show, No Filter Neha. However, things are not the same as before after the. On a recent awards function, Vicky said he was single and ready to mingle with the audience. The Mujhse Shaadi Karogi banter with Katrina Kaif at a recent awards function has sent people speculating on the fact that he and Katrina maybe more than just friends.